A Biblical or Rabbinical obligation: There are opinions which say that there is a Biblical obligation to hear Parshas Zachor. Some opinions rule this Biblical obligation is only fulfilled if one hears the reading of Zachor from a Sefer Torah together with a Minyan. Others rule the Biblical obligation is fulfilled by simply mentioning the remembrance of Amalek, and hearing it from the Torah with a Minyan is only Rabbinical. According to all the Biblical obligation is fulfilled whenever one hears the reading of Amalek from the Torah, such as on Parshas Ki Seitzei and, according to some also on Parshas Bishalach. Nevertheless Rabbinically one must initially fulfill this Biblical obligation with the reading on Parshas Zachor. 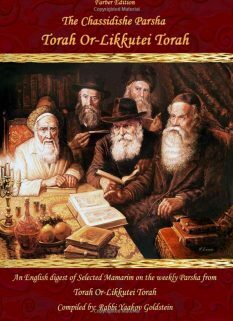 Making sure to be with a Minyan for Parshas Zachor: Being that the reading of Zachor is a Biblical obligation, one is required to arrange that he be in an area that has a Minyan for that Shabbos. Having in mind to be Yotzei: Being that the reading of Zachor is a Biblical obligation, one must have in mind to fulfill the Biblical Mitzvah upon listening to the reading. Likewise the person reading from the Torah must have in mind to fulfill the obligation of the listeners. If one missed Parshas Zachor: Some Poskim rule if one did not hear the reading on Parshas Zachor he can still fulfill the Biblical obligation through hearing the Torah reading of Amalek that is read on Purim. Others however argue that one cannot fulfill the obligation of Zachor by hearing the Torah reading on Purim, as it is read from a different Parsha than the reading of Zachor. According to all however one fulfills his Biblical obligation with hearing the reading of Parshas Ki Seitzei. [In such a case however one must have in mind to fulfill the Mitzvah of remembering Amalek upon hearing the reading, and some Poskim write he is to tell the Baal Korei to fulfill his obligation] Despite the above, there is a Rabbinical obligation to initially hear the reading on Parshas Zachor. If one can only be with a Minyan either on Purim or Parshas Zachor, when should he attend? 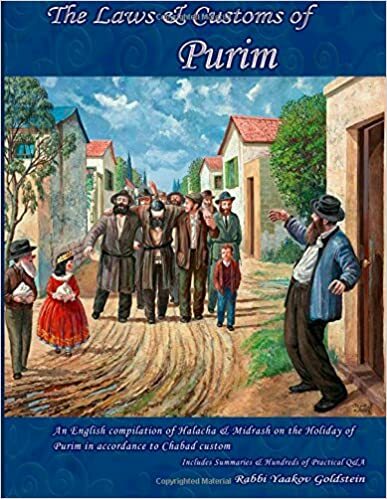 Being that the hearing of Parshas Zachor is a Biblical obligation, therefore one is to join a Minyan for the hearing of Zachor even if doing so will cause him to be unable to join a Minyan for the hearing of the Megillah on Purim. However the custom of the masses in such a case is to join the Minyan for Purim rather than for Zachor, as in any event one fulfills his obligation of Zachor with the reading on Purim. Practically one is to follow the former ruling. When: Parshas Zachor is always read on the Shabbos prior to Purim, which is the second Shabbos of Adar. Thus when [the second day of] Rosh Chodesh Adar falls on Shabbos, Parshas Zachor is read the week after Parshas Shekalim. When Rosh Chodesh falls on a weekday no Parsha is read on the week after the reading of Shekalim which is the first Shabbos in Adar, and on the second Shabbos, Parshas Zachor is read. The portion to be read: The portion of Zachor is read from Parshas Ki Seitzei, from the words “Zeicher Es Asher Asa Lecha Amalek” until the end of the portion. The Haftorah of Zachor is read from “Pakadety Es Asher Asa Amalek”. Can a Katan receive an Aliyah for Parshas Zachor? If the Katan knows the meaning behind the Brachos recited before and after the reading, then he may receive the Aliyah and have a Gadol read the portion. The Katan however may not read the Torah himself. He may not receive an Aliyah if he does not know the meaning of the Bracha. Why is a blessing of “Asher Kidishanu Bemitzvosav…” not recited over the reading of Parshas Zachor if it is a Biblical obligation? The reason for this is because we do not say a blessing over the destruction of others, even gentiles. 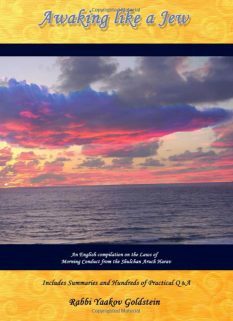 Must one hear the blessings of the Aliyah to be Yotzei the reading of Zachor? Some Poskim rule one must hear the blessing with intent to be Yotzei in order to fulfill the obligation of the reading. However from Admur it is implied that this is not necessary. Are the listeners to read along with the reader or are they to keep silent? Some Poskim rule those listeners which do not say the six remembrances daily are to read along quietly together with the reader when hearing Parshas Zachor. Others however discourage this practice and rule one is to listen to the reading without saying the words. Practically the custom is like the latter opinion. Must one hear Parshas Zachor from a Baal Korei that reads in accordance to his accent? Can a Sefaradi hear Zachor from an Ashkenazi Baal Korei or vice versa? Some Poskim rule that due to the difference of dialect in the pronunciation of Hashem’s name between Sefardim and Ashkenazim, each person is to hear the reading in accordance to his custom. If he is Ashkenazi he is to hear it from an Ashkenazi Baal Korei. If he is Sefaradi he is to hear it from a Sefaradi Baal Korei. Must one hear the reading of Zachor from a Sefer Torah written in accordance to his custom? It is proper to do so, although this is not an obligation. May one make a Minyan to read only Parshas Zachor for those that did not hear it? Some Poskim rule the extra Parshas may only be read as part of Kerias Hatorah of that week’s Parsha, and may not be read individually. However others rule that Parshas Zachor is an exception to this rule and it may be read with a Bracha if a Minyan gathers, even if they did not hear the weekly Torah reading beforehand. This may be done any time of the day, even past Mincha. Other Poskim rule that past Mincha Gedola it is to be read without a blessing. May one make Minyanim to read Parshas Zachor for patients in hospitals without first reading to them the weekly Torah portion? May one bring the Sefer Torah to a different area for it to be read? If one is physically unable to come to Shul for the Torah reading, such as one who is sick or is incarcerated in a prison, then if there will be a Minyan present, it is permitted to bring him a Sefer Torah to hear Parshas Zachor or Parshas Para. If these conditions are not fulfilled then it is forbidden to bring a Sefer Torah to another area, unless the Sefer Torah is set up in an ark some time prior to the Kriah and remains there for one to two days, [and one reads from the Torah at least on three different occasions]. May one remove the Sefer Torah and read Parshas Zachor without a Bracha if there is no Minyan? Some Poskim rule one may remove a Sefer Torah and read it without a Bracha if there is no Minyan. 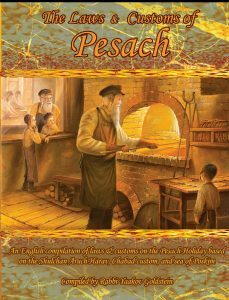 May one make Kiddush and eat prior to hearing Parshas Zachor? It is proper not to do so. Some Poskim rule women are not obligated to hear Parshas Zachor. Others rule they are obligated just like men. Practically the custom amongst many women is to treat the reading as an obligation. May one make a separate Minyan of Zachor for women? Some communities have a custom to make a separate Minyan for women to hear Parshas Zachor. However there are Poskim which argue that it should not be done. Must children hear Parshas Zachor? All male children which have reached the age of Chinuch are to attend the reading of Parshas Zachor. The definition of Chinuch in this regard is when the child is old enough to understand the idea of the destruction of Amalek. Girls which have reached the age of Chinuch have the same status as women in this regard. May a child which is over Bar Mitzvah read Parshas Zachor? If the child has not yet grown two pubic hairs he is not to read Parshas Zachor. This can be determined by whether he has begun growing facial hair. In a leap year is one to fulfill his obligation of Zachor also with the reading of Parshas Ki Seitzei? Some Poskim rule that in a leap year, asides for Parshas Zachor, one is to intend to fulfill his obligation of remembering Amalek also during the reading of Parshas Ki Seitzei. Others however hold it is not necessary to do so. What is the law if one missed a part of the reading, such as he walked into the reading in middle, or there was noise and he missed a word? See Q&A at the end of the chapter! Are the listeners to stand for the reading of Parshas Zachor? Many Gedolei Yisrael have protested against the noise making at the end of Parshas Zachor. Pashut as this is the entire reason for why we are to take out two Sifrei Torahs. This dispute is recorded in M”B 685/18; The Rebbe in Shaareiy Halacha Uminhag ibid writes his source is from the Mesorah; Some Poskim rule the main Nussach is with a Tzeirei. [Bitzel Hachachma 6/50; Piskeiy Teshuvos 685/9] Others rule the main Nussach is with a Segal. [Maaseh Rav 134 that so was the custom of the Gra; Ketzos Hashulchan 84 footnote 22; In the glosses to volume 3 (p.74b) he proves that this was also the opinion of the Tzemach Tzedek] In conclusion the Rebbe and Ketzos Hashulchan ibid rule that by Beshalach the main Nusach is with a Tzeirei while by Ki Seitzei the main Nussach is with a Segal. Nevertheless we still read both Nuschaos as will be explained. The saying of the Toras Chesed: The Ketzos Hashulchan ibid quotes that the Toras Chesed stated regarding this dispute “Zecher, Zeicher, the main thing is to blot them out properly”. The Ketzos Hashulchan ibid writes that those which are meticulous would read it one time with a Tzeirei and one time with a Segal. By the reading of Beshalach and Ki Seitzei [when the Parsha is read twice, once for Shevii and a second time for Maftir] they would read it one way by Shevii and the second way by Maftir. By Purim and Parshas Zachor [in which the portion is only read once] they would repeat the verse twice. 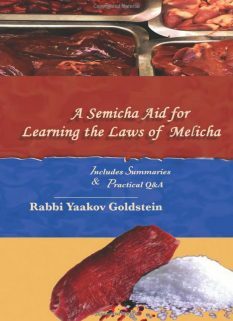 In the glosses to volume 3 (p.74b) he concludes that this is the custom, to read both Zeicher and Zecher, and so was the directive of Rav Shneur Zalman of Lublin, the author of Toras Chesed. To note however that there he mentions that the Baal Korei in Lubavitch stated they by Beshalach they would read only with a Tzeirei, and by Ki Seitzei only with a Segal. The reason behind this order of Zeicher/Zecher: This ruling is based on the Sefer Boneh Yerushalayim which is Meyuchas to the Alter Rebbe. There it states that by Beshalach the main Nussach is with a Tzeirei while by Ki Seitzei the main Nussach is with a Segal. [Nevertheless we still read both Nuschaos as ruled the Toras Chesed.] Thus by Beshalach we first read it with a Segal [Zecher] and then with a Tzeirei [Zeicher], as the second word read is viewed as a correction and is the main Nussach. By Ki Seitzei we follow the opposite order as the word Zecher is the main Nussach. Otzer Minhagei Chabad p. 18 unlike the custom recorded in Ketzos Hashulchan 85 footnote 22, and the supplements in the back of the Sefer, that one is to read Zeicher by Shevii and Zecher by Maftir. The reason: As since the Baal Korei is a Gadol everyone is Yotzei [irrelevant of the fact a Katan received the Aliyah]. [ibid] Although Admur here rules like the Taz 685/2 that if the Katan knows the meaning of the blessing he may receive an Aliyah but may not read, nevertheless it seems based on the above reason that Admur is arguing on the Taz regarding the reason for why a Katan is valid to receive the Aliyah. 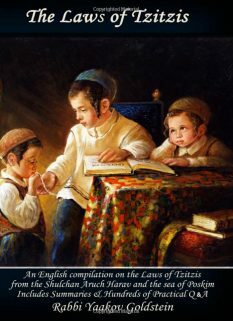 The Taz rules that one must be Yotzei the Bracha in order to be Yotzei the Kriah, and by a Katan which knows the meaning of the Brachos one fulfills the Bracha when hearing it from him. However from Admur here it seems the Katan does not fulfill the obligation of the Bracha on behalf of the listeners, as Admur states clearly that anyone who is not obligated in the Mitzvah cannot fulfill another’s obligation, and Admur rules in 282/5 that a Katan is not obligated to say the Brachos. This conclusion is further established through the ruling of Admur in 53/13 in which Admur rules that “a Katan cannot be a Chazan because he cannot be Yotzei others, however he may receive an Aliyah because there is no obligation upon the public to say the Bracha but only for the person receiving the Aliyah, as opposed to Davening which is an obligation upon all to fulfill”. This clearly implies that no one fulfills the Bracha of the Aliyah through hearing the Bracha from the Katan. Furthermore it implies there is no need to be Yotzei the Bracha at all for one to fulfill the Mitzvah of Kriah. This is unlike the Taz ibid which rules one needs to be Yotzei the Bracha, and a Katan can be Yotzei the Bracha for others. 53/13 implies there is no need to fulfill the Brachos of the Aliyah. Furthermore it is also implied from 282/16 from the fact a Katan may not read Zachor but may recite the Brachos, even though others do not fulfill their obligation with his Bracha as is proven from 53/13. See above in previous footnotes for a lengthy discussion on this ruling. Yechaveh Daas 3/53; Meishiv Davar 47; See also Ketzos Hashulchan 19 footnote 28 which negates the ruling of the Mahram Alshiker. 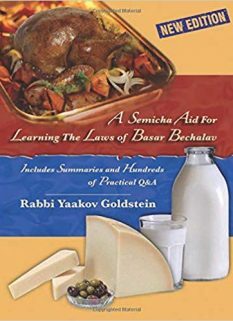 Sheivet Halevy 4/71; See however there that if the people who came to this Minyan are not G-d fearing, then past Mincha one should not read for them Zachor, even without a blessing, and rather they are to come for the reading of Purim to be Yotzei. I have not seen such a custom recorded anywhere. However I have witnessed in some Shul’s that the custom is to stand. The reason: Seemingly the reason for this is due to a Hefsek, interval, in the reading or between the reading and the blessing.